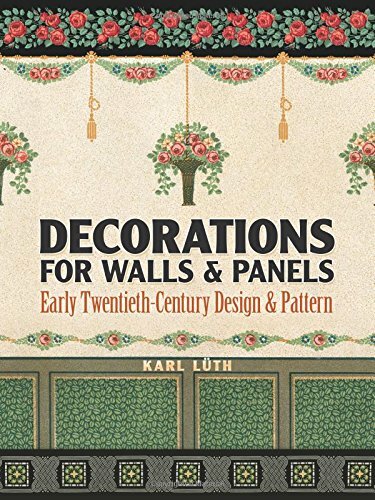 This 128-page oversized catalog was produced circa 1900 in Germany and contains hundreds of stunning examples of screen-printed patterns and design elements originally conceived for wall and ceiling decoration. Created at the crossroads of Victorian and Art Nouveau styles, the catalog reflects the best European designs of the period. The full-color patterns, reproduced from rare originals, encompass decorations for every room in a variety of styles, including floral, animal, and geometric designs. In addition to allover patterns and borders, a wealth of individual motifs features cherubs, musical instruments, woodland scenes, seascapes, and other striking elements. Graphic artists and designers of all types will find this volume a splendid source of patterns and design inspiration.